If you have recently been arrested for driving under the influence, you’re probably feeling pretty discouraged. Not only was the night you were arrested one of the worst experiences of your life, but you are going to lose your license and pay a number of hefty fines. When dealing with such an unpleasant situation, it’s normal to feel stressed, overwhelmed and even completely depressed. However, if you take the right steps now, you can ensure that eventually, your DUI will be left where it belongs: in the past. 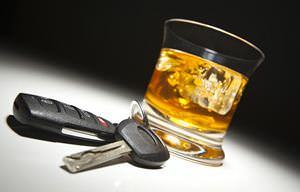 Determining whether or not you will need a lawyer is an important step in dealing with your DUI. If your DUI involved an accident or injury to another party, you definitely need to hire representation. The same goes for having prior charges, especially if those charges were also DUI related. The cost for a good lawyer can run you anywhere between $4000 and $6000 dollars, not including court costs. More than likely, your DUI will result in a temporary suspension of your driver’s license. It’s very important that you respect this suspension, because if you are caught driving on a suspended license, your legal consequences will be much worse. If possible, get a bicycle or commute to work with a friend. It’s important to note that if you don’t make your payments on time, you could end up in jail. If you think there is any way you could forget to make a payment, consider using a credit card or taking out a loan and paying the entire amount at once. If you forget to make a payment on your credit card bill, you will simply pay more interest, which is certainly preferable over jail time. Part of making penance for a DUI is attending special classes that are designed to help you become a better person. In most cases, you will need to attend both traffic school and a drug and alcohol counseling class. You can put as much of your energy into these classes as you see fit. Some people choose to view them as an opportunity and do their best to learn something from being there. Others simply choose to do the bare minimum that is legally required and get through. Do your best to have a good attitude. Your decisions led you to where you are today, and demonstrating that you’re really making an effort can only help your case. Depending on the details of your case, you may be required to spend a little time in jail. If not, you may be put on house arrest, which means you will be legally required to remain in your home for a certain duration. Hopefully, your lawyer will be able to keep you from jail, but if not, know that it’s a small price to pay considering the fact that you could have taken a life. After you pay all your fines, do any required jail time and graduate from your classes, you will be eligible to apply for a new license. Depending on your state, you will also likely need to pay approximately $900 to install an ignition lock out system on your car. This system requires you to perform a breathalyzer test each time you go to start your engine, and if you don’t pass, your engine will not start. This may seem like a nuisance, but it will prevent you from facing another DUI in the future.